You'll become intimately familiar with blueprints. Experience, training and certifications prepare you for the responsibilities of a construction estimator who gauges the costs of construction projects based on those creds. You’ll need to know details of all aspects of the industry, from the costs of material and labor to the length of time it should take to complete a project. That's how you effectively come up with accurate projections. You could become a construction estimator with no formal training after years on the job doing all the estimates for your own company or for your boss. However, most companies require you to have at least a bachelor’s degree in something related to the industry. Building science, construction management, engineering or even mathematics can be part of a solid educational background for an estimator. Some companies prefer estimators to have a business degree in accounting or finance. Few, if any, estimators land a gig right out of school. 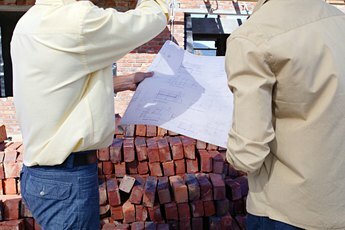 You’ll need to spend considerable time learning the ropes on the job, assisting a seasoned estimator. You must be able to show potential employers that you’ve spent time in the field and can develop an entire estimate on your own before you’re given the position. Depending on the company, you could spend anywhere from a couple months to a couple years gaining the experience you need to be cut loose on your own to estimate projects. Any kind of professional certifications you can get will help your career. Designations such as the Certified Professional Estimator from the American Society of Professional Estimators or the Certified Cost Estimator/Analyst designation from the International Cost Estimating and Analysis Association show that you take your profession seriously and that you’ve gone the extra mile to learn all you can about being a construction estimator. You’ve got to take courses and pass exams to get those credentials, which show a potential employer you’ve done the work to learn your trade. Not everyone can successfully master the duties of a construction cost estimator. You need to have an orderly, organized mind to think through the construction and estimation processes step-by-step. Your organizational skills need to be top-notch so you can keep track of all the input that goes into a final estimate. Your math skills need to be sharp, and you need a disciplined work ethic to confidently assess your project needs and requirements. You must analyze the needs of the client to provide the most effective plans and be able to identify the strengths and weaknesses of a project. Strong writing skills allow you to create reports and land contracts for your employer. Cost estimators earned a median annual salary of $61,790 in 2016, according to the U.S. Bureau of Labor Statistics. 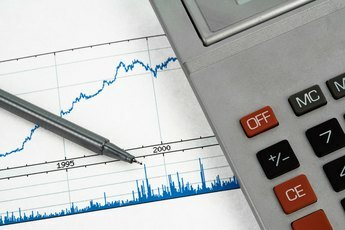 On the low end, cost estimators earned a 25th percentile salary of $47,330, meaning 75 percent earned more than this amount. The 75th percentile salary is $80,570, meaning 25 percent earn more. In 2016, 217,900 people were employed in the U.S. as cost estimators. 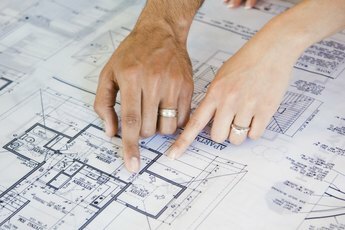 Construction Classes.com: How Do I Become a Construction Estimator?